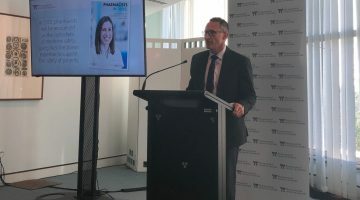 The Guild president in the ACT, Simon Blacker, said last week that ACT doctors and pharmacists could now track patient use of some prescription medicines in real time. It comes after the ACT Government introduced real-time prescription monitoring legislation last year, which was one of the recommendations from a 2016 coronial inquiry into the drug overdose death of a 21-year-old Canberra man. But why is it taking so long in NSW and other states, when the SafeScript launch in Melbourne on Sunday saw the Health Minister announce that SafeScript is available to health practitioners across Victoria from the 1st April? 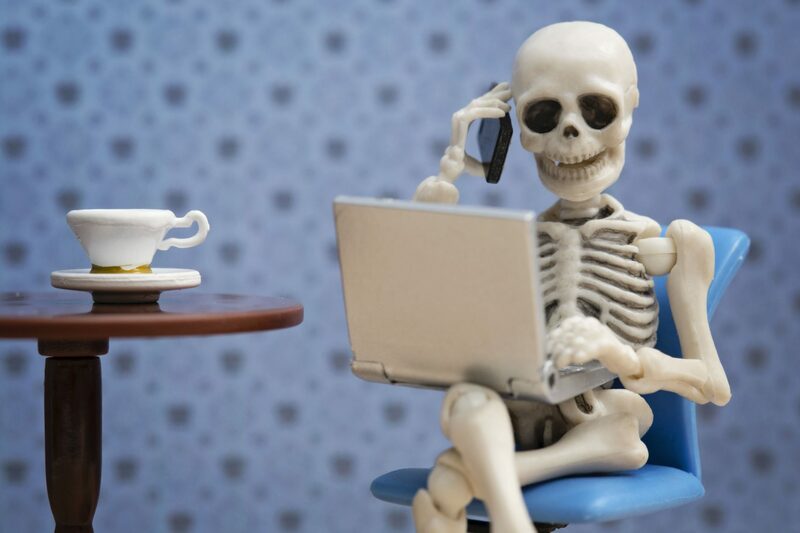 RTPM systems alone cannot fix the problem. It is widely accepted, however, that providing data about a patient’s monitored drug history in real time at the points of care enhance the clinical decision making by health practitioners. Whilst the technical solution is only one part of this complex puzzle, most health practitioners feel that having access to this information at the point of care is vital. “RTPM systems are often proposed as part of the package needed to reduce overdose deaths due to prescribed drugs. But several evaluations of RTPM have been disappointing,” says Dr Alex Wodak president of the Australian Drug Law Reform Foundation based in Sydney. “It is not clear that RTPMs reduce consumption of prescribed drugs, or reduce deaths from overdose of prescribed drugs or that unintended negative consequences of RTPMs are acceptable. However, a number of other effective ways of reducing drug overdose deaths are known. According to the NSW Ministry of Health, “a timetable for implementation has not been developed and the costs to NSW to implement real-time prescription monitoring have not been determined.” In evidence tendered in these proceedings Judith Mackson, Chief Pharmacist and Director of the Chief Pharmacist Unit within NSW Ministry of Health, stated the NSW system was still in the design stage. Ms Mackson stated that the NSW Ministry of Health was committed to waiting on the Commonwealth system rather than implementing a NSW “stand alone” system. When questioned about the Victorian Government’s implementation of the SafeScript system, she stated that in relation to NSW, she “[did not] believe that the timeframe would be any earlier if it was done on a state level as opposed to nationally”. Pharmacy Guild Victorian president Anthony Tassone says that other jurisdictions need to act on their own systems. “With the successful pilot of SafeScript in Western Victoria and now the state-wide rollout, there is really no excuse of any other state or territory who hasn’t implemented real time prescription monitoring,” Mr Tassone said. It was hoped “90% plus” of GPs would be on board by the time it became mandatory, according to AMA Victoria president Associate Professor Julian Rait. Doctors can also check a patient’s prescription history for monitored medications through the SafeScript website, with one GP reporting it was “quick and revealing”, Professor Rait said. It would remain up to the GP to decide whether is was appropriate to go ahead with the prescription, he said. “The only enforcement aspect of this ultimately might be just making sure people know about it … and don’t prescribe willy nilly without regard to what else people have prescribed, that’s the initial intention of the system. RTPM will not stop overdose deaths, it will not stop illegal importation and cannot eliminate illicit drugs. But as we are already seeing in Victoria, it is an opportunity to intervene when a patient history indicates that someone’s safety is at risk due to the hazardous use of high-risk prescription medicines. It can often lead to those measures Dr Wodak talks about: demand reduction and harm reduction. More Victorians die from prescription medicine overdoses than from illicit drugs or the road toll. SafeScript, Victoria’s RTPM system, gives doctors and pharmacists real-time information about high-risk medicines taken by their patients. This will save lives. SafeScript is a major Victorian Government project which went live in October 2018 with an initial focus in Western Victoria. SafeScript will be rolled out to the whole of Victoria in April 2019, although many providers across the state are already using it to keep their patients safe ahead of this official launch. The scale of what has been implemented is unprecedented in Australia. SafeScript will be available to over 1,900 medical clinics, 1,300 pharmacies and 200 hospitals in Victoria. All 27,000 medical practitioners and 7,000 pharmacists registered to practice will have access. A key design feature of SafeScript is the real-time alerts doctors and pharmacists receive from their clinical systems within seconds of a prescription being generated or dispensed. This quickly informs whether there is a clinical risk or information that requires review. The alert algorithms have been designed to minimise any alert fatigue after thorough consultation with health professionals and drawing on an evidence base into the circumstances that pose the highest risk of overdose. 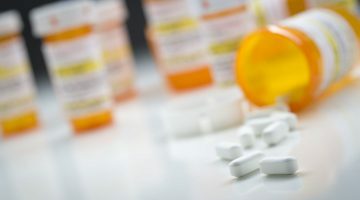 Prior to SafeScript, doctors and pharmacists did not have a full picture of what high-risk medicines their patients had received from other providers. This could lead to patients obtaining dangerous quantities of high-risk or addictive drugs from multiple sources without anyone being aware. SafeScript has set a new benchmark in the design and implementation of an eHealth initiative and has now become the basis for the platform for the national system. FredIT Group is contracted by the Commonwealth Department of Health to build the National RTPM. The NDE, or National Data Exchange, central data repository went live in December 2018 with work commencing to integrate jurisdictions currently underway, starting with the ACT go-live in March 2019.
International experience has shown us that only when such monitoring systems are made mandatory do they have the desired effect of reducing harms. Each jurisdiction will decide which medicines will be monitored but currently in Victoria the list includes all S8 drugs as well as some S4 medicines. Angelo Pricolo is an addiction medicine pharmacist and former National Councillor of the Pharmacy Guild of Australia.